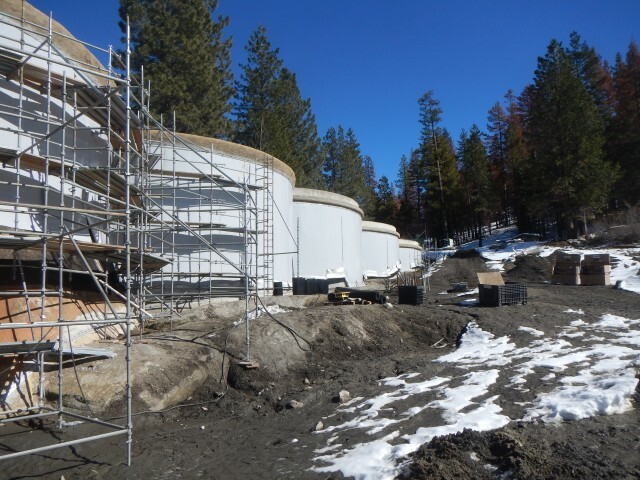 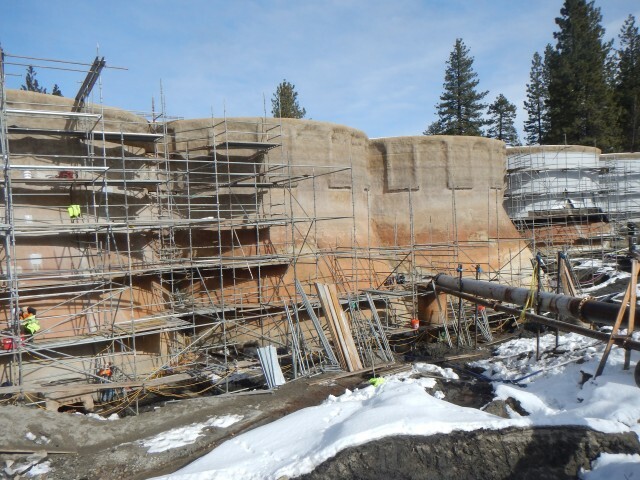 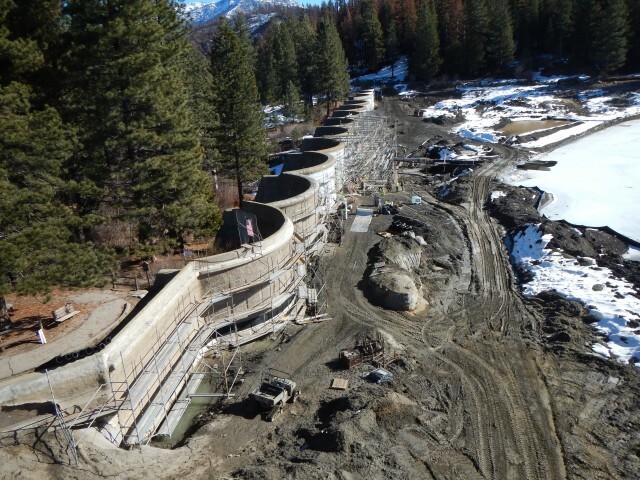 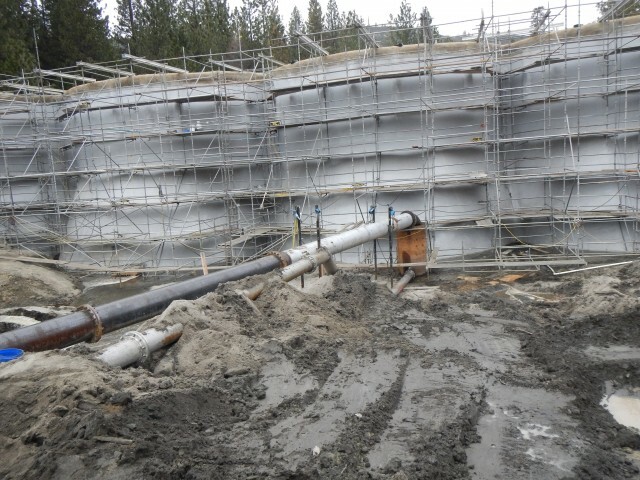 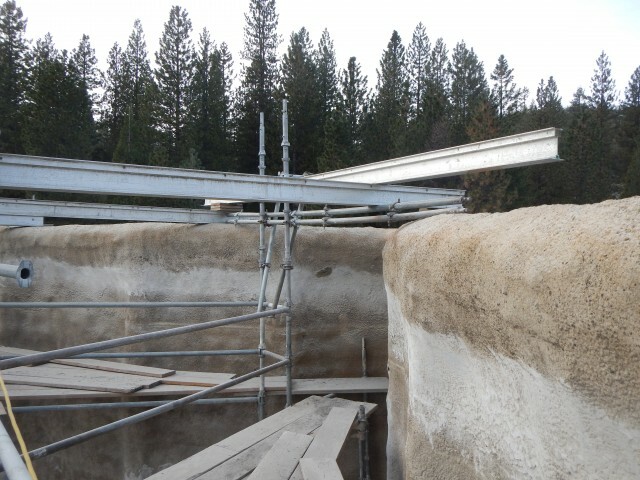 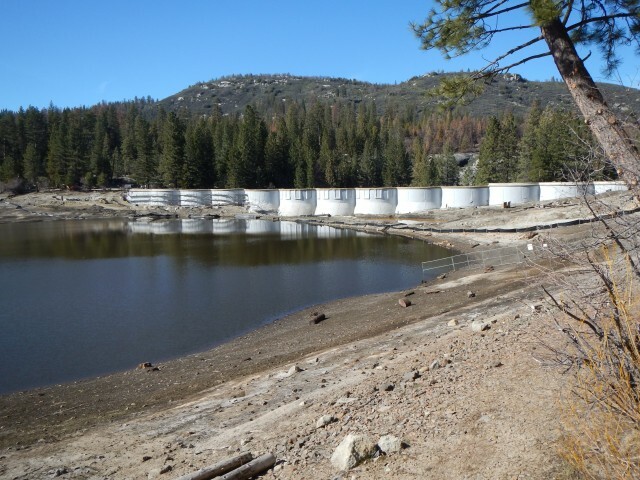 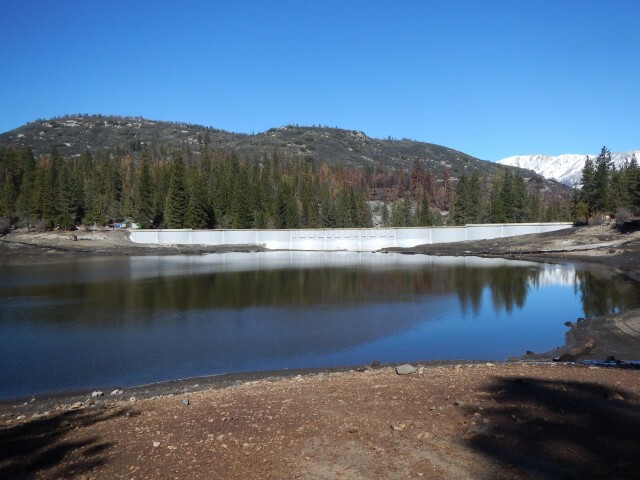 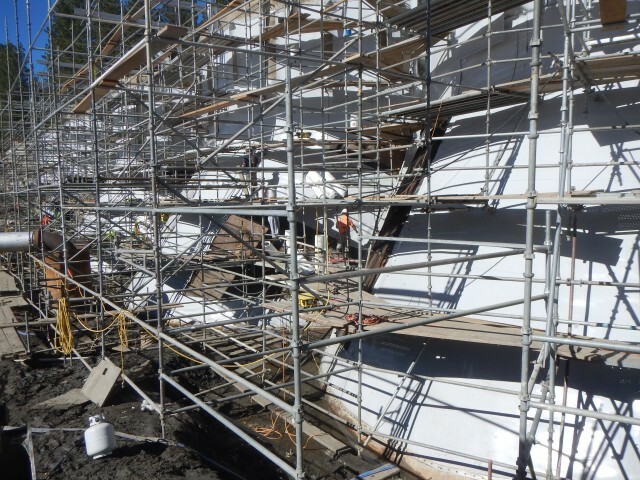 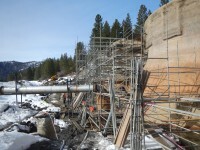 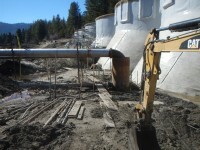 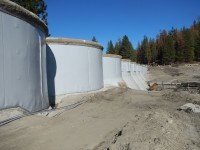 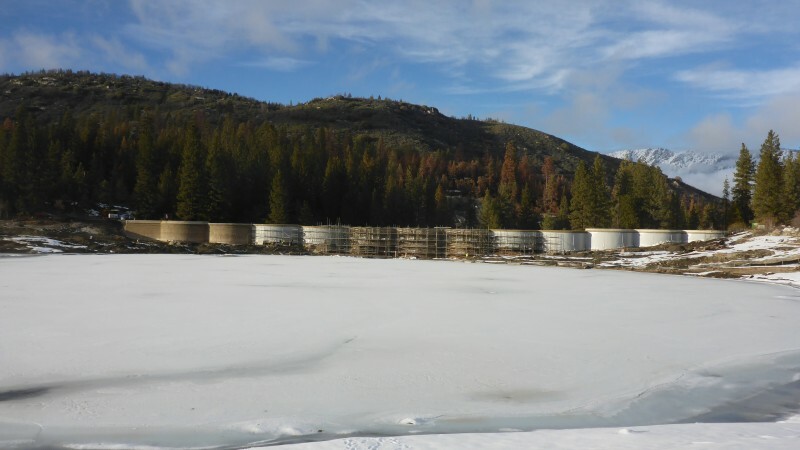 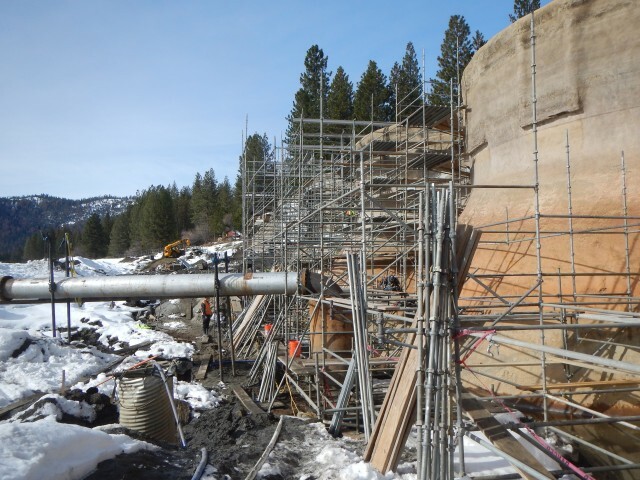 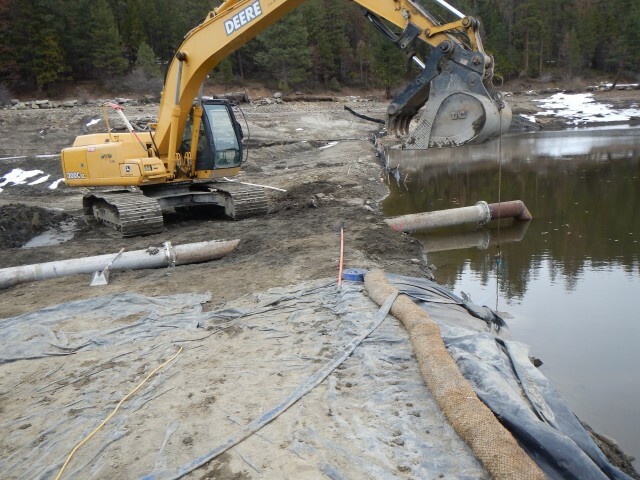 Hume Lake Dam Rehabilitation • MCS Construction Inc.
MCS Construction contracted with CARPI to perform the rehabilitation of the dam. 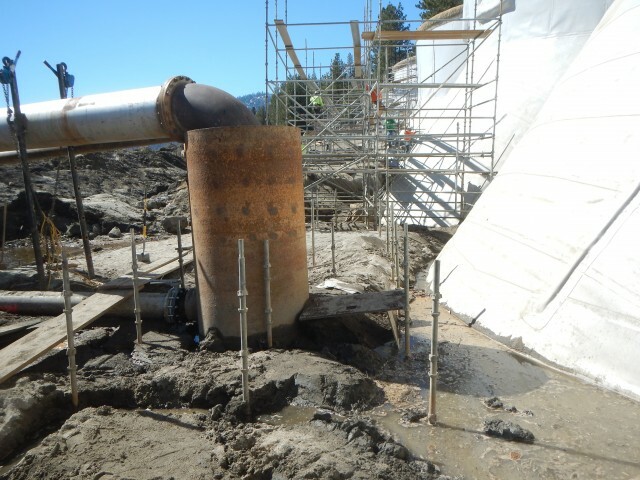 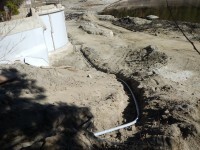 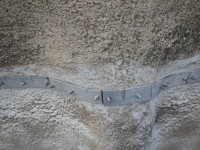 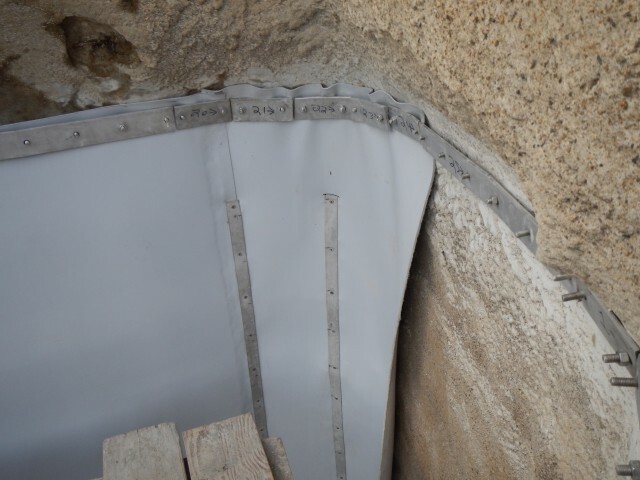 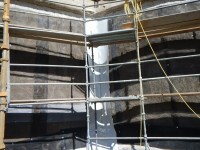 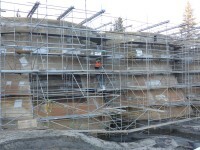 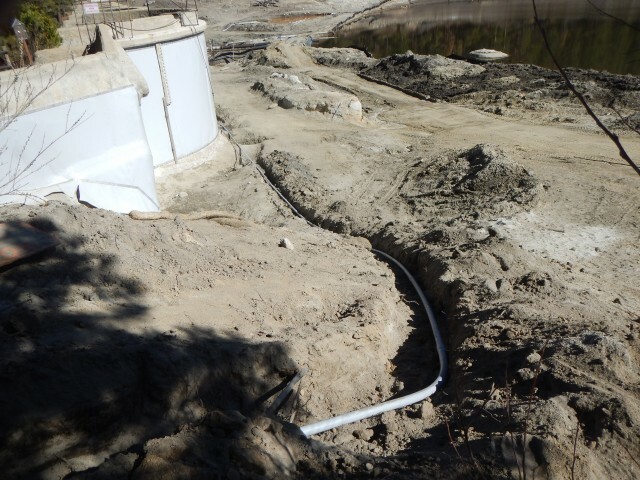 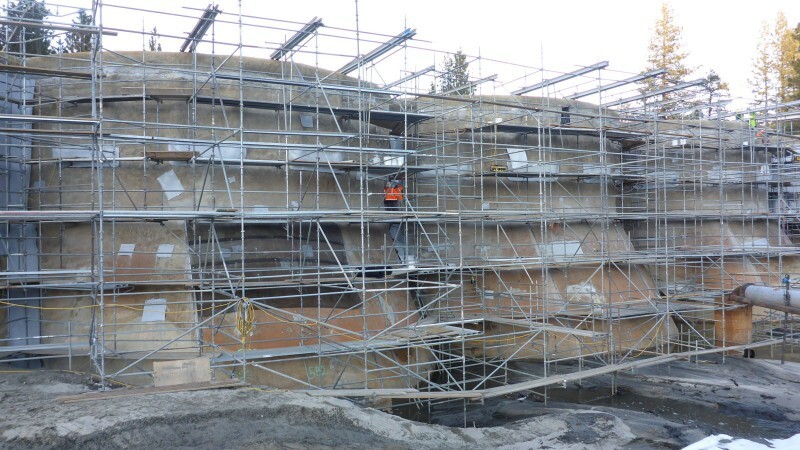 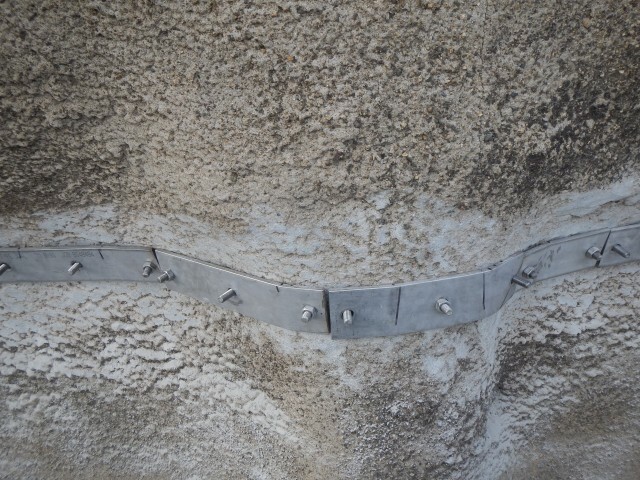 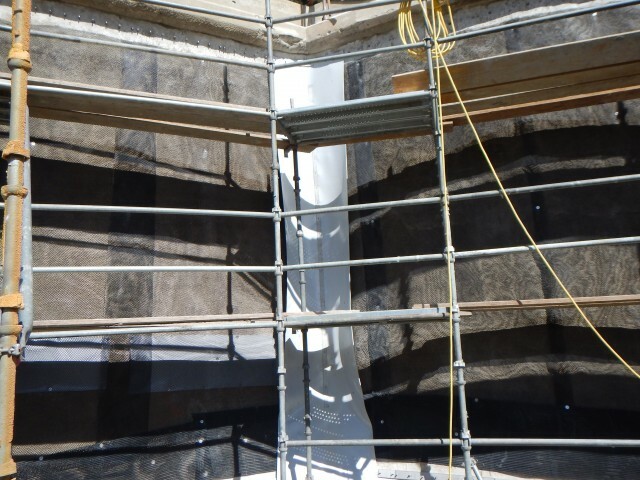 The work performed consisted of the installation of a geocomposite membrane system with drain on the upstream face of the dam. 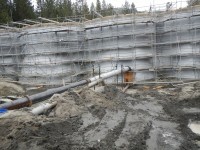 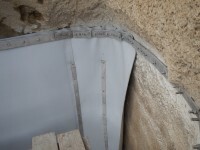 The waterproof membrane will permanently stop moisture seepage. 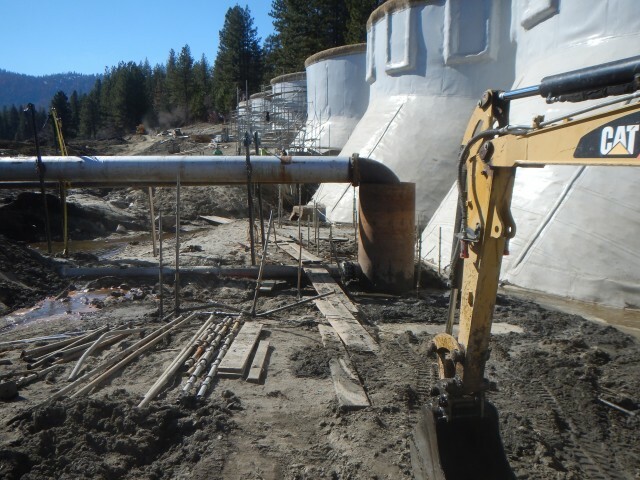 In preparation for the membrane installation, coffer dam construction, water diversion and excavation to expose dam toe was performed. Hume Lake Dam is on Ten Mile Creek, on the western slope of the Sierra Nevada in Fresno County, California. 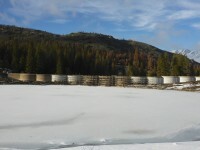 The dam is a multiple-arch dam with 12 arches. 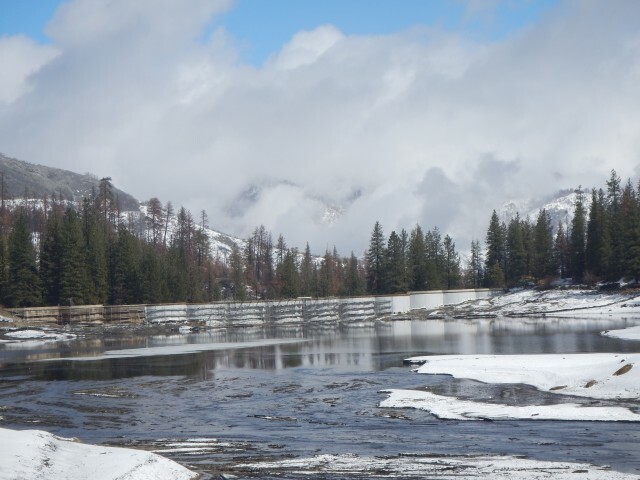 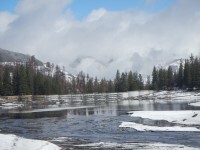 Hume Lake Dam is 50.4 feet tall (crest elevation 5299 feet above sea level) and 675 feet long. 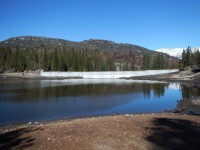 The original dam construction was completed in 1908. 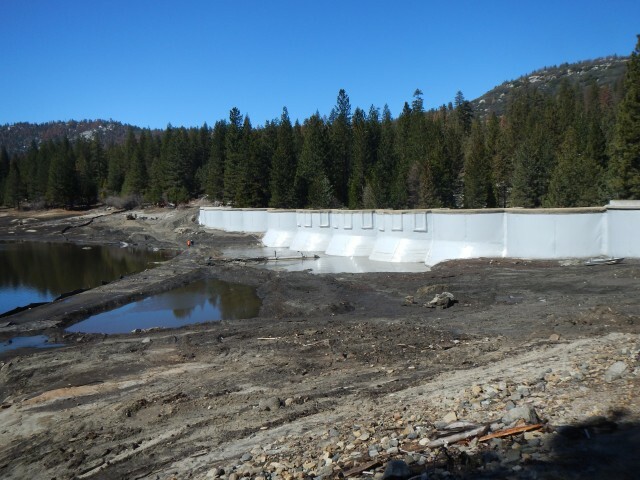 It is a part of the Historic American Engineering Record, because it is the world’s first reinforced concrete multiple arch dam.